In Toledo and nearly everywhere else in America, people sensed a violent crescendo was coming for the Rev. Martin Luther King, Jr., who foreshadowed his own assassination on April 3, 1968, when he said during a speech that he was prepared to die. A day later, on April 4, 1968, James Earl Ray used a rifle to fire a single, fatal shot into Reverend King’s neck as the Southern Baptist minister stood on the second-floor balcony of the Lorraine Motel in Memphis. For the next 10 days, there was looting, arson, or sniper fire in 196 cities in 36 states. Toledo was one of those cities. To memorialize this day in history, The Blade spoke to those who could help recall how black youth and police responded in the days following the assassination of the civil rights icon; how the community moved forward in the aftermath of the chaos, and how the community memorializes Reverend King’s legacy through education, the arts, and even basketball. America had been numbed by a series of assassinations by the time Reverend King was killed. NAACP field leader Medgar Evers was killed on June 12, 1963, two months before Mr. King delivered his now-iconic “I Have a Dream” speech before 250,000 people participating in the March on Washington for Jobs and Freedom. Roughly 60 Toledoans boarded a bus heading to the nation’s capital to participate in the march. Three months later, then-President John Fitzgerald Kennedy was killed by Lee Harvey Oswald in Dallas on Nov. 22, 1963. Black activist Malcolm X on shot and killed on Feb. 21, 1965. America had been on edge for quite a while — a combination of frustrations over race relations, the Vietnam War, and other issues — and the mood was compounded weeks after Reverend King’s slaying by the June 5, 1968, assassination of presidential candidate Bobby Kennedy, who — among other things — had been a civil rights advocate. In the summer of 1967, some 159 race riots broke out across the United States. The worst were in Detroit and Newark. Almost simultaneously, fires and looting began a day later in Toledo, on July 24, 1967, near Dorr Street and Detroit Avenue. Some 500 National Guard troops were sent to Toledo. No one was killed, but there were 79 blazes caused by fire bombs. A scheduled appearance in Toledo by Reverend King was postponed, but a few months later, on Sept. 22, 1967, he spoke to a packed audience of 3,500 at Scott High School — seven months before he was killed. He did not waiver in his belief in nonviolence, calling it “the most potent weapon” for blacks to attain justice. Jesup W. Scott High School was already struggling with racial unrest when an assassin’s bullet killed the Rev. Martin Luther King, Jr. on April 4, 1968. By the next morning, the school descended into chaos. Grieving and exasperated, many students at the majority black school refused to go to their classrooms that Friday morning. Adding fuel to the fire was school officials’ refusal of a student request to lower its American flag to half-staff. “It was a lot of rage and anger on that particular day,” remembered Ron Davis, who was a senior at the time. It’s not clear why Scott administrators balked at the gesture — hours later then-mayor William Ensign ordered all flags across Toledo to be lowered in mourning for the next three days — but for many of the students at Scott that initial refusal was a slap in the face. Losing control of the situation, officials dismissed classes, sending 2,000 students pouring out into the Old West End. Some students went home while others reverted to violence. Several hundred Scott students gathered in a loosely organized march from the school that descended into a near riot. Rocks were thrown at cars, fist-fights broke out, windows were shattered. Mr. Davis, a star football player at Scott who would go on to play at the University of Toledo, said he wasn’t part of the violence but remembers seeing one of its most gruesome parts — a passing motorist crashing into a neighborhood church after students rained rocks upon his car. The driver was treated for injuries to his head and face. Those moments have stuck with Mr. Davis all these years. While he didn’t condone the violence, he says he understood how some young people’s frustrations had boiled over. Reverend King’s assassination shook the nation, but the reverberations were particularly painful for young African-Americans. There seemed to be progress happening in America. 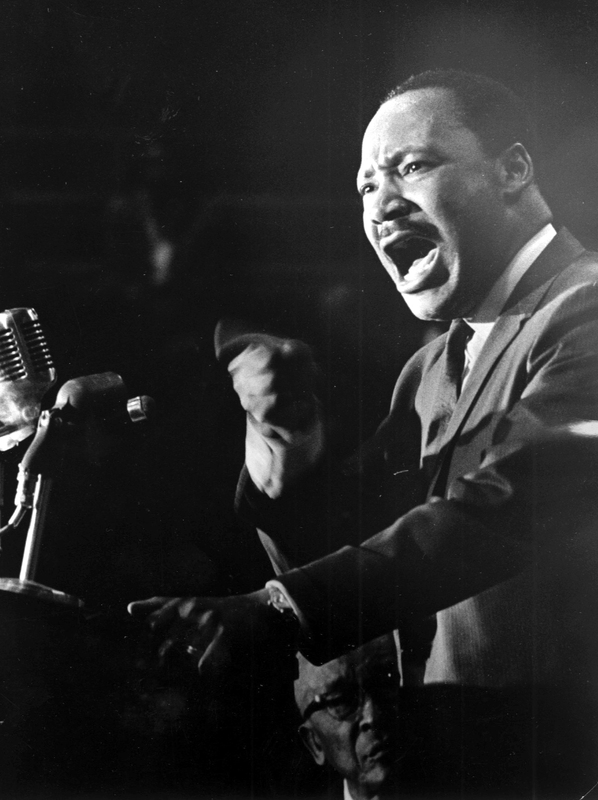 Reverend King’s work had brought a level of power and influence to the disenfranchised. Young African-Americans had connected with Reverend King in a deep and meaningful way, and his killing brought an overwhelming sense of loss. “We had already started going through issues prior to King’s killing with JFK’s assassination. We were in junior high when that happened. 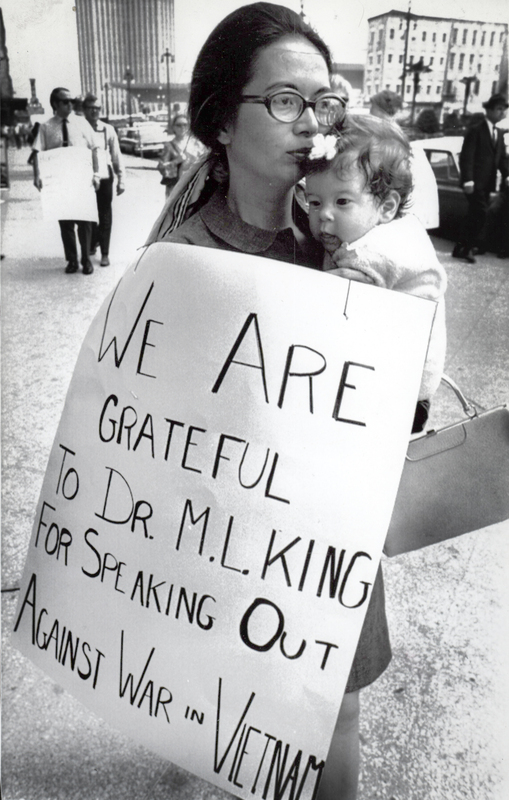 Then Malcolm X, Martin Luther King, Bobby Kennedy,” said Marcia Morrison, a 1968 Scott graduate. Daniel Dawson, who was a mathematics teacher at Scott in the late 1960s and would go on to a number of other positions at Scott, including the school’s athletic director, said those losses weighed on students. “They felt everyone who had their interest at heart was being killed,” said Mr. Dawson, now 80 and one of the only surviving black faculty members who worked at Scott at that time. As violence escalated in Toledo the day after The Rev. Martin Luther King, Jr., assassination, former Toledo police deputy chief Ronald Jackson recalls officers’ attempts to keep the peace at a time when there was a “distinct hatred” for all police officers — including those who were black. After Reverend King’s assassination, the police department went into emergency status and Mr. Jackson’s unit hit the streets equipped with riot gear. It was the 1960s, so a plastic helmet with a clear face shield, a nightstick, and the six-shooter on his hip was enough. If not, there was always the 12-gauge shotgun in the patrol wagon or a simple “code 3” call over the radio to summon reinforcements. The morning after Reverend King’s assassination was met with disturbances as high school students and others pelted automobiles with stones, broke windows, and injured motorists. That quickly escalated with several firebombs being thrown into homes and businesses. Mr. Jackson’s unit was tasked with patrolling the streets looking for any small gatherings of people who were either demonstrating, angry, or intimidating residents. They often had to push and shove their way into the center of crowds, forcing them to disperse before they got too large. They couldn’t let Toledo be overturned and ravaged by rioters. “We were putting out small fires,” he said. Mr. Jackson said being a police officer has always been a difficult job, but it was especially tough when tossed into the middle of chaos with most African-Americans harboring a hatred for police. As a newly sworn-in black officer, Mr. Jackson said there were African-Americans who felt he betrayed them. “Some would call me an ‘Uncle Tom,’” he said. Despite those tensions, Mr. Jackson said communicating with the local Black Panthers, Muslims, and other black community groups was essential in helping quell the violence. Violence on the streets of Toledo on April 5, 1968, caused an estimated $500,000 in damages. When Reverend King was assassinated, Mr. Jackson said the Toledo Police Department began meeting with black leaders in the community to examine a strategy that could be employed to curtail the violence. “We needed to produce as much manpower as possible,” Mr. Jackson said. Despite the violence that occurred, The police department was given a large share of the credit for keeping Toledo relatively calm by then-chief Anthony Bosch, who at that time was reported saying his men did a “marvelous job” of enforcing the curfew and preventing incidents from mushrooming. “Every man was on his toes throughout the week,” Mr. Bosch said. He was 9 years old at the time, but Marvin March still remembers. He can recall how he proudly waved a flag in front of the recently renamed Martin Luther King Jr. Elementary School. His mother was on the board that commissioned the building’s name change, so he certainly remembers all the book reports and essays the students did on civil rights leading up to the renaming ceremony. “I guess you can tell from the smile that I had on my face, I was just thrilled because out of all the other kids, they chose me to do that,” Mr. March said. But Mr. March also remembers some of the tension that still existed in Toledo and the rest of the country. Frustrations had calmed a bit since swelling immediately after Reverend King’s assassination — take the University of Toledo for example. Right after his death, roughly 250 students and faculty organized a march that stretched about a mile and a half. A year later — while Mr. March was watching his school rebrand in Reverend King’s honor — UT hosted a remembrance service at its Doermann Theatre and created a memorial fund in his name. Theresa Gabriel, now the 81-year-old deputy director at the Lucas County Board of Elections, has seen it all in Toledo. She’s lived in the area since she was 3 years old and has an established career in politics and civil rights. She graduated from Scott High School, worked as the youth director at Toledo’s NAACP chapter, and was the president of various organizations. At one point, she was also an at-large member of the Toledo City Council. But a lot of what she’s seen hasn’t been pretty. She watched a majority of the homes she grew up in or beside demolished during an urban renewal project in the 1960s. That was the backdrop of race relations as Reverend King was assassinated, and a year later, Ms. Gabriel said racial tension was still prevalent. Mr. March believes the school wouldn’t have been renamed if Reverend King was never assassinated. Ms. Gabriel pointed out that cities frequently rename their old, dilapidated buildings or structures after Reverend King, not their new projects. When that’s the case, it’s viewed more of a slap in the face than an honor — a stark contrast from the pride Mr. March felt as he waved that flag in 1969. When Nick Neiderhouse was growing up, he said lessons about the Rev. Martin Luther King, Jr., didn’t entail who he was or why he mattered. Instead, students were primarily given descriptions of Reverend King’s actions on specific dates and where they occurred. But now as principal of Wayne Trail Elementary School in Maumee, Mr. Neiderhouse said educators are delving more into not only who Reverend King was, but how his life can serve as an example for people today. For Scott High School special education teacher Trevor Black, discussing Reverend King with her students can be challenging because there is such a generational gap between his life and theirs. To many students, the civil rights movement he championed is more like a movie and not real life, she said. At Wayne Trail, students applied the lessons outside of the classroom by volunteering on Martin Luther King Jr. Day at Under One Roof Food Pantry, Sunshine Creating Community Center, and with the Maumee Police Department as part of Serve Day. Wayne Trail has carried a super hero theme throughout the school year, and Mr. Neiderhouse said Reverend King’s life and mission fit with that. In contrast, Ms. Black strives to impart on her students that Mr. King wasn’t a super hero in the sense that he performed deeds beyond those of everyday people. “Any one of them can be the next Dr. King,” she said. Former Libbey High School basketball coach Leroy Bates, former Scott coach Ben Williams, and former Blade sports writer Clyde Hughes wanted to do something special for the community to celebrate the legacy of the Rev. Martin Luther King, Jr.
Those three together thought high school basketball could be a vehicle to do just that and in 1997 began the Martin Luther King Basketball Classic, a day to celebrate basketball in Toledo on Martin Luther King, Jr., Day. It started small, with two games featuring Libbey and Scott against non-City League teams they would bring in from outside of Toledo. On Jan. 20, 1997, the MLK Classic tipped off at Ben Williams Field House at Scott, and it got off to a memorable start. Scott hosted Southfield (Mich.) Lathrup High School in that first game, and Greg Grays scored 60 points in a memorable 93-92 triple-overtime win for Southfield Lathrup. Scott assistant Earl Morris was filling in for Ben Williams that day because Williams was ill.
“It’s one of the best games I’ve been associated with,” Morris said after the game. For Grays, who later would play at Penn State, he just wanted a pleasant bus ride back home. Through the years, the quality of the basketball at the MLK Classic has stayed consistent. In 2008, former Michigan State and current Golden State Warriors star Draymond Green scored 14 points and grabbed 13 rebounds as his Saginaw High School team topped William Buford and Libbey, 80-76. Other standouts that have made stops include college stars Keith Appling and Derrick Nix (Michigan State), Juwan Howard, Jr. (Detroit Mercy), Angel Garcia (Memphis), and Dakota Mathias (Purdue). The memories of great basketball and great community support live on. The MLK Basketball Classic has grown and evolved through the years, but the goal of the event remains the same: Bring the community together and honor Reverend King’s legacy. Current co-chairman of the MLK Classic Darren Dorn said the event went on a hiatus for about five years, from 2009-14, before it was revived by Dorn and fellow co-chairman Jenai Hicklin. The lives of the Rev. Martin Luther King, Jr., and Henry Ossawa Tanner barely intersected on this Earth. Known as the first internationally acclaimed African-American artist, Mr. Tanner moved to Paris in the late 19th century to further his career without being under the thumb of oppression he encountered at home. “He spent the latter part of his life in Europe because of civil rights and racial discrimination,” said Scott Boberg, manager of programs and audience engagement at the Toledo Museum of Art. Reverend King was just 8 years old when Mr. Tanner died in 1937. The artist was never able to capture the enormity of the message of love and equality that Reverend King would champion in the decades that followed, nor was he alive to witness the tragic fall of a civil rights icon when James Earl Ray turned a gun on King on April 4, 1968. But in 2018, Reverend King’s message and Mr. Tanner’s work bisected at the Toledo Museum of Art when cast members from the Toledo Opera’s “I Dream” production performed songs from the opera in response to artworks. To packed rooms in three galleries, Derrick Davis sang excerpts from “I Dream” in front of African-American artist Kehinde Wiley’s piece, Saint Francis of Paola, 2003; Victor Ryan Robertson sang “Victory by Love” under the massive piece Mars and Venus, 1633; and Krysty Swann crooned of equality under the same “Midnight Moon,” alongside Tanner’s piece, The Disciples on the Sea. Travel around Toledo, and there are reminders everywhere that artists are speaking up visually. In 1989, artists Constancia Gaffeney and Wil Clay installed a bronze and steel sculpture of Reverend King called Radiance that sits on the west side of the Martin Luther King Bridge. In the museum, Elizabeth Catlett, a 20th century artist gifted the color lithograph, A Second Generation, before her death. In 2015, local artist Yusuf Lateef created a mural of Reverend King that was installed at the intersection of Delaware Avenue and Collingwood Boulevard in the Old West End. His mural was taken down earlier this year when ownership of the building changed hands. Perhaps the most attention-getting piece is the massive depiction of Reverend King on the side of a vacant building on Broadway in the Old South End. The mural was created in 2014 by about a dozen Bowling Green State University students and staff under the artistic direction of Mario Torero, an artist and activist in San Diego who accepted an invitation by BGSU senior art lecturer Gordon Ricketts. “Still Dreaming” is painted in brilliant red next to Reverend King’s portrait. On the other side of the same structure, the artists created the vision of farm-worker rights advocate Cesar Chavez. “These are still important figures today. Maybe even more so today. Things didn’t get right with the civil rights movement or migrant farm workers. There are still many injustices even though there is the perception that all is well,” Mr. Ricketts said.